Civil infrastructure projects are increasingly reaping the benefits of Envision’s recent development effort, following a two-year push to widen the features geared toward these projects. 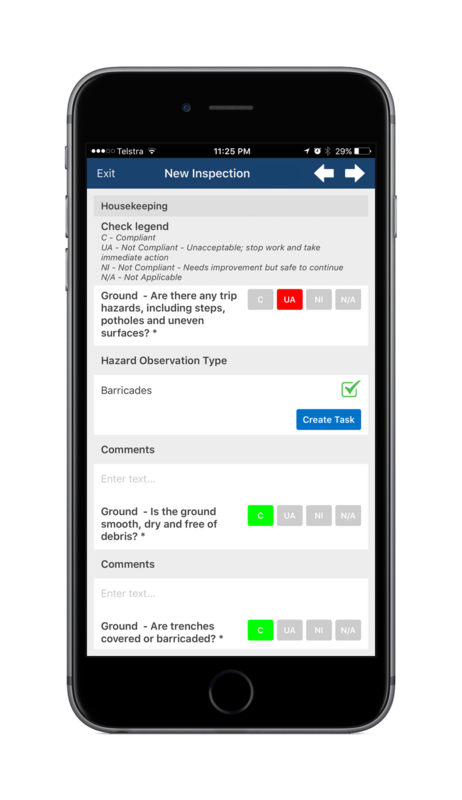 Dockets can be captured in the field by supervisors or subcontractors using Envision’s Forms App. This creates a truly paperless docketing process. 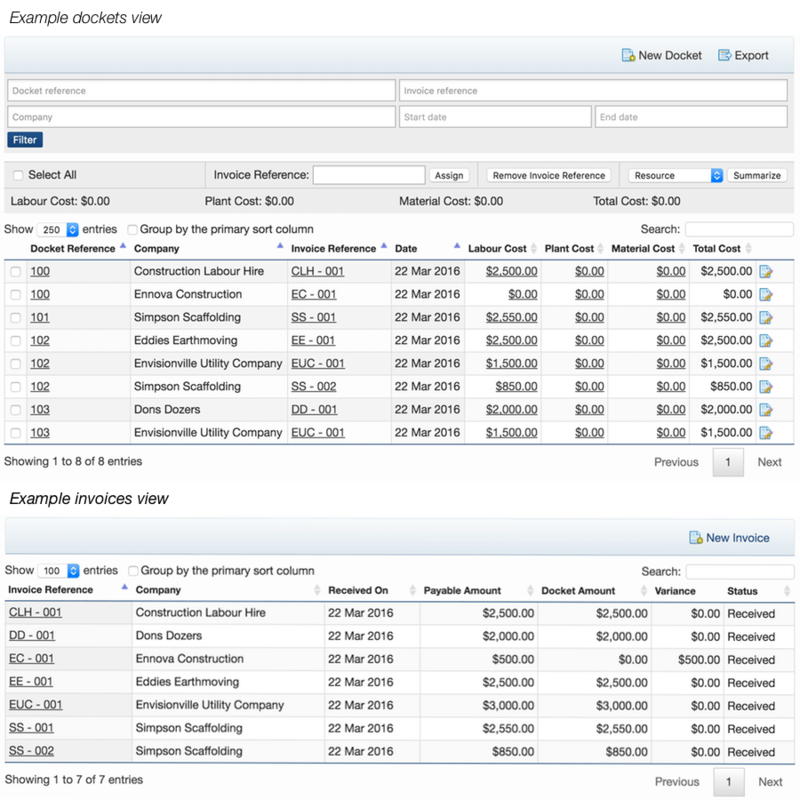 These dockets can capture information about labour, plant and materials, including shift and rate codes. Approved dockets are then emailed as pdf documents to relevant contractor and subcontractor administrators and automatically filed in Envision. Costs against dockets are calculated using Envision’s rates model. Once invoices are received from suppliers (typically at the end of the month), dockets are allocated to invoices so that values can be verified and invoices released for payment. Variations are easy to identify, enabling streamlined checking and reconciliation of invoices. Dockets not allocated to an invoice can be used to identify accruals of incurred costs to ensure accurate forecasting. 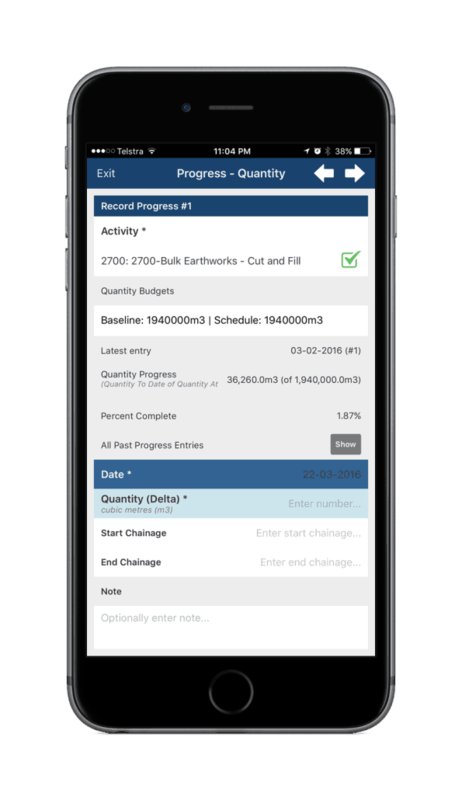 Projects can track progress using quantity-based measurement (not requiring tagged items). 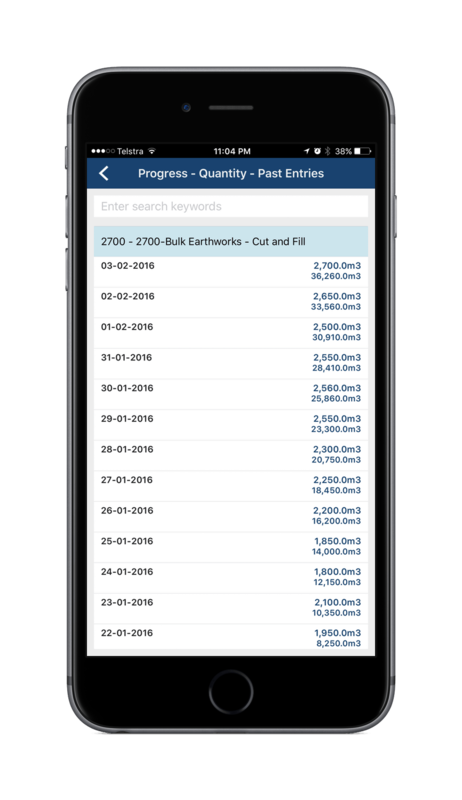 This is much more appropriate for measuring the progress associated with operations such as bulk earthworks, where discrete items are not tracked. 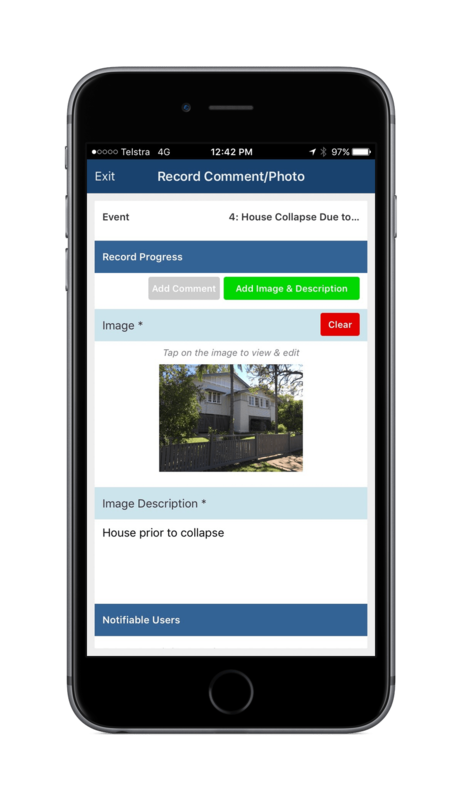 A longstanding feature of Envision is the simple capture of project events – on mobile and web platforms. Events help project participants preserve their entitlements and capture the effort and resources spent on unplanned work. 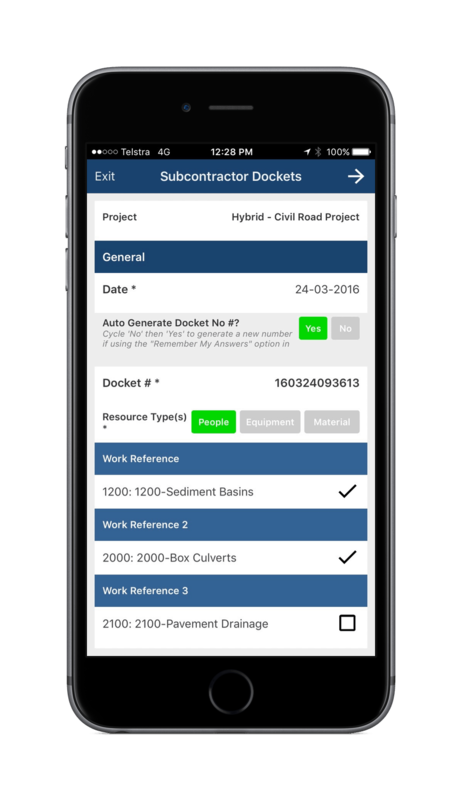 While not a new feature, this offers significant benefits for civil projects via a simple workflow. Envision enables project leaders to generate site diaries in a single click by recording project information as it happens directly into the system. 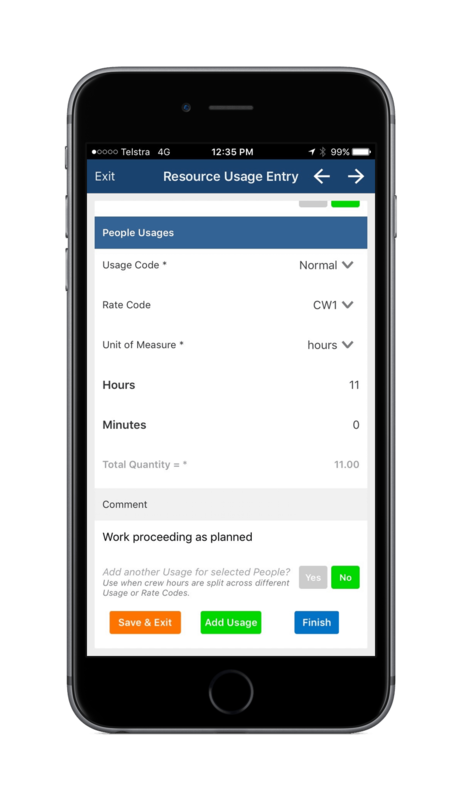 This saves supervisors valuable time and lets them focus their effort on managing the safe completion of work…rather than being pulled away from core business to manage admin. Accurate daily cost calculations are key to ensuring a project is on budget. This can be challenging due to the sheer quantity of paper-based data, time-consuming nature of collation, and inevitable errors and inconsistencies in the process. 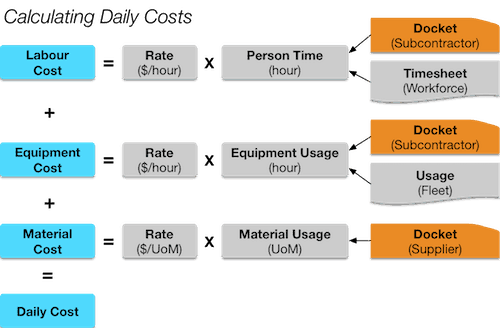 Envision now simplifies the calculation of daily costs by automatically applying the relevant rates for people, equipment and materials. The rates function offers a lot of flexibility to suit project needs. Then, once rates are set up, most rate calculations can be automated as usages are captured via mobile forms or as timesheets in Envision. With this data more readily available, Envision can also be configured to plot a chart of recent daily costs together with the budgeted and target cost rates. Forms use data from Envision to populate drop down options and other user selections, ensuring valid values. They can also capture photos, signature approvals and geo-locations. Once submitted, form contents are processed by Envision to generate timesheet entries, dockets, equipment and material usage and more. Projects can tailor these forms to suit their needs – even using them as the basis for multi-user workflows, including approvals. Projects can track bulk material deliveries and movements such as concrete, sand, fill etc. against delivery dockets and, optionally, the equipment that moved them. This supplements the labour and equipment use tracking in Envision to enable daily costings to be performed as best suits each project’s characteristics. Rates include cost, sell and dayworks values and can be defined in a variety of ways. This includes setting rates for a company, resource type or specific resource. Different rates can be set for each rate code and date ranges. Envision enables value-based S-curves to be created and added to dashboards and reports. These charts can be filtered using discipline, location and work categories. Budgeted value and tracked budgeted cost for activities can also be imported to support the creation of dollar-based S-curves. For linear projects, March charts can be plotted to show discipline-based progress versus chainage over time. Envision offers an extensive dashboard and reporting function that can be tailored to suit each project’s reporting framework. Dashboards and reports can include charts, maps, images etc. In addition, reports can also draw from a wide range of predefined reporting widgets to summarise data relating to progress, quantities, labour and equipment usage, daily comments and photos, and much more.